Northstar has usually played a support role to other X-Men in most stories, so it’s novel to see him narrate the opening of this issue. Wendigos have taken over Canada and are now crossing the U.S. border. The X-Men try to contain them, but don’t make any progress until Storm convinces one of the Great Beasts to give the X-Men godlike powers. I really love how Northstar is drawn at the end of the first page: he looks dashing with his longish hair and turquoise eyes. 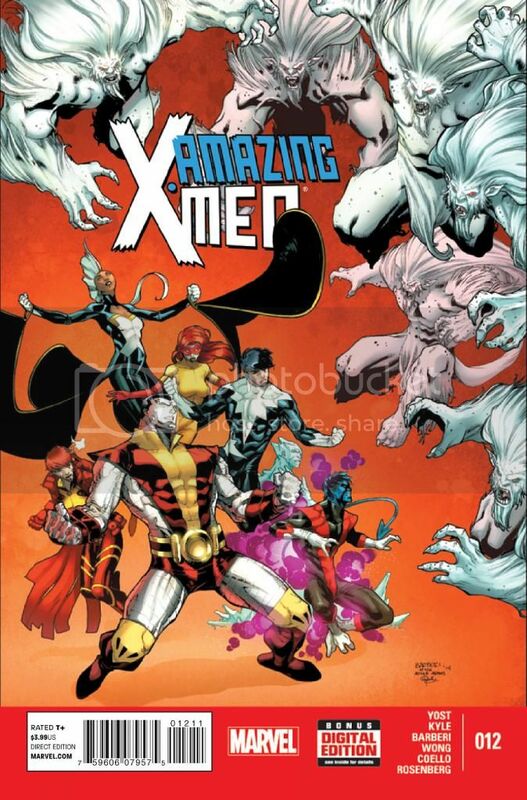 Amazing X-Men feels like the odd one out of X-titles: it lacks the Bendisness of All-New X-Men and Uncanny X-Men, the high-profile creator changes of X-Men, and it’s not bound to the Jean Grey School students like Wolverine and the X-Men. It deserves more attention for its beautiful art: Carlo Barberi, Iban Coello, and Rachelle Rosenberg give this book a clean, bright look. 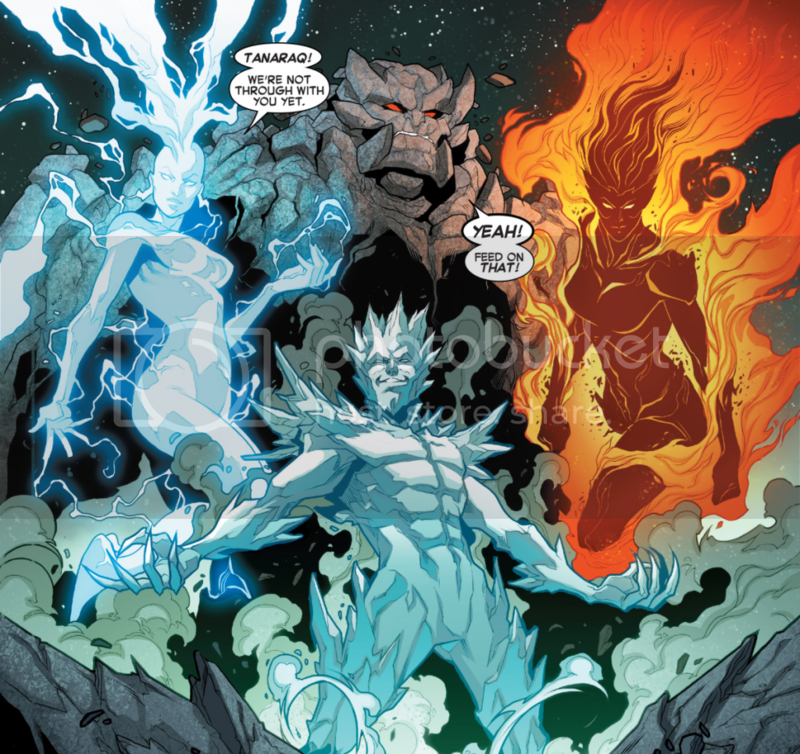 I especially like Rosenberg’s brilliant streaks of light that follow Northstar in the opening scene, and the colors when Storm, Rockslide, Iceman, and Firestar flip into god mode. Everything wraps up in this issue too fast, and unfortunately the Wendigo arc lacked the hook to really captivate readers. I wish the members of Alpha Flight had received more development throughout the arc. There’s one error in this issue: there’s a speech bubble pointing to Northstar that is supposed to be a narration box spoken by Wolverine. The arc ends with unresolved questions: what happened to Talisman and Puck? Craig Kyle and Chris Yost get credit for featuring Alpha Flight, but this issue and arc lack the energy and personality of Yost’s excellent current New Warriors.